The BMW X1 is a popular choice with those who want a prestigious family car with the practicality of an SUV without driving around a big 4x4. Our AWD model is finished in silver titanium paint with 17 inch alloys and roof rails. Features include bluetooth, parking sensors and dual zone auto air conditioning. This vehicle is supplied with This vehicle is supplied with a full MOT, 3 month RAC warranty and 1 years RAC breakdown cover. Meet the Sports Activity Vehicle designed specifically for drivers who want to embrace life. Featuring beautiful yet rugged external styling, a spacious and refined interior, plus the capability to take all kinds of journeys in its stride, the X1 is in many ways the perfect family vehicle. 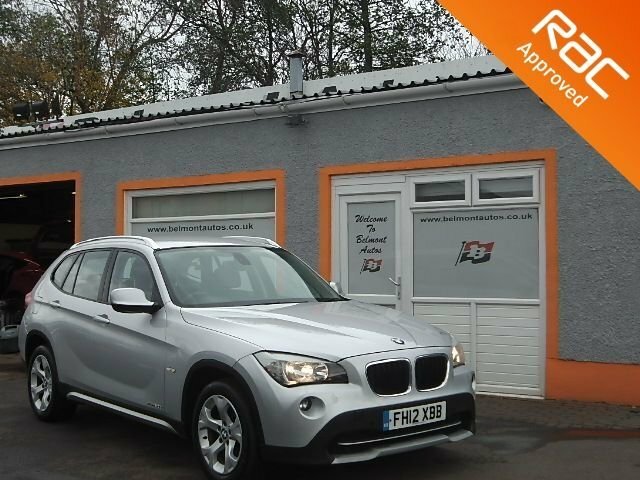 You can take a closer look at the range of used BMW X1 cars for sale in Lanarkshire right now by paying a visit to Belmont Autos. Alternatively, take the opportunity to browse our complete stock of used cars here on the website before getting in touch with a member of the team for more details. Call, get in touch online or pay us a visit in person.